While expressing concern over Tehran’s reluctance to comply with demands set down by the international community, Moscow is also telling foreign powers that Iran’s military and nuclear prowess should not be blown out of proportion. ­Following a 10-day naval exercise last week in the strategic Strait of Hormuz, Iran’s Revolutionary Guard test-fired two missiles. This apparently excited some foreign powers, especially the United States and Israel. Russia, however, put the situation into perspective, reminding that the Islamic Republic lacks the technical expertise to build long-range ballistic missiles. 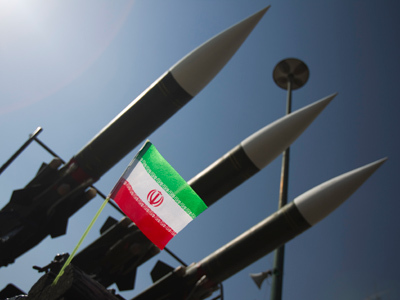 "Iran does not have the technology to make medium or long-range ballistic missiles ready for immediate use and it will not get such missiles anytime soon," Vadim Koval, Russian Defense Ministry spokesman for the Strategic Rocket Forces told reporters on Tuesday. 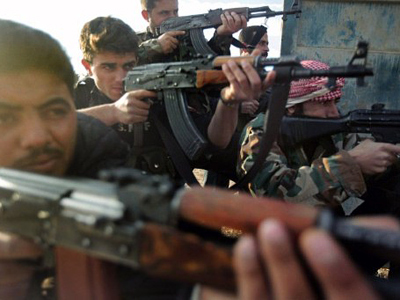 Koval also mentioned Iran’s lack of industrial infrastructure necessary to produce these types of weapons. "Presently, Iran does not have actual technology or the industrial potential to develop or produce ballistic missiles – even in their test version." Even if one assumes that Iran could produce full-scale medium- and long-range ballistic missile systems in the remote future, it would be wrong to consider them as actually adopted for combat duty and ready for immediate use, he added. It is important to note in the context of Russia’s warnings that the United States is presently constructing a missile defense system in Eastern Europe, ostensibly to defend the continent from a missile attack from some 'rogue nation,' usually identified as Iran. 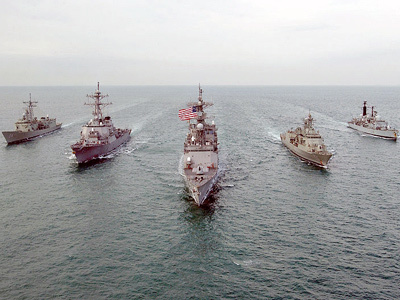 Meanwhile, tensions continue to simmer in and around the Persian Gulf, where Israel and the United States are planning to hold large naval operations in the near future. "Austere Challenge 12" was announced after Iran threatened to block the narrow Strait of Hormuz, the choke point between the Persian Gulf and the Gulf of Oman, through which some 30 per cent of the world’s oil supplies pass through daily. Although military analysts doubt that Iran will actually attempt a naval blockade of the strategic strait, the mere suggestion caused oil prices to spike last week, while putting more than one defense minister on alert. Although Russia said it learned about the start of uranium enrichment at an Iranian facility near Qom with “regret and concerns,” it also indicated that all of the work is being conducted under the control of the International Atomic Energy Agency (IAEA). "We have to acknowledge that Iran is continuing to ignore the international community's demands on dispelling concerns about its nuclear program, including through suspending the construction of an enrichment facility near the city of Qom, set out, in particular, in the IAEA Board of Governors resolution GOV/2009/82 and UN Security Council resolution 1929," the Russian Foreign Ministry said in a statement on Tuesday. At the same time, the Foreign Ministry said it is important to point out that "Iran informed the IAEA of the beginning of the enrichment work at this facility beforehand and that all nuclear material there is under the agency's control." 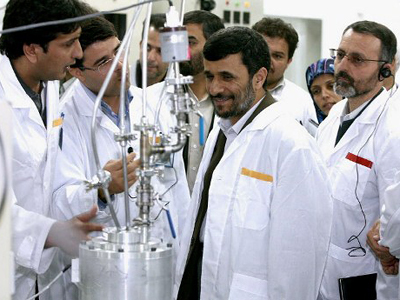 Iranian nuclear engineers have only enriched their uranium to the 20 per cent level, far below the 90 per cent level necessary for building a nuclear bomb. Thus, Russia is calling on all sides involved in the settlement of the Iran crisis to refrain from making any abrupt moves, the ministry said. "We call on all sides involved in the settlement around Iran and its nuclear program to refrain from ill-considered and abrupt steps, which may undermine the forming conditions for the resumption of the Sextet-Iran dialog and further interaction between Iran and the IAEA with the goal of clarifying remaining questions," it said. "Hopefully, Iran will listen to our opinion about the need for further close cooperation with the agency and the earliest start of serious negotiations on the Iranian nuclear program with the Sextet without preconditions," the ministry said. 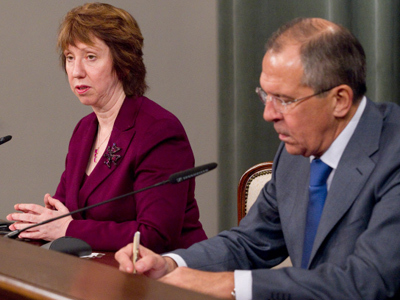 Russia is calling on all the sides to return to the table and negotiate a way out of the impasse. "We confirm that any problems related to the Iranian nuclear program must be resolved exclusively through negotiations and the mutually respectful dialog on the basis of gradual and reciprocal steps,” the ministry statement read. “We are prepared to continue further maximal assistance to this process, in particular, in the course of a plan of the restoration of confidence in the Iranian nuclear program suggested by Russia." Clearly, the threat remains that emotions and frayed nerves will win out over cool-headed negotiations. An Iranian nuclear scientist was killed by a bomb placed on his car by a motorcyclist in Tehran on Wednesday, as city officials blamed Israel for the attack. Fars news agency identified the victim as Mostafa Ahmadi-Roshan, 32, who had supervised a department at Iran's Natanz uranium enrichment facility. Witnesses told Iranian security officials they had seen two people on a motorbike attach the explosive device to the vehicle. As well as the person killed in the car, a pedestrian was also killed. A passenger in the car was gravely injured, they said. Two bomb attacks on the same day in Tehran in November 2010 killed one nuclear scientist and wounded another. Meanwhile, Iran sentenced an Iranian-American to death on Monday after finding him guilty of espionage while working for the Central Intelligence Agency (CIA). Iran’s Revolutionary Court convicted Amir Mirzaei-Hekmati, 28, for “cooperating with the hostile government [the US]…and accusing Iran of terrorism,” according to Iranian news reports.